Thousands of Australians over 65 are being encouraged to become more physically active and socially connected through the Government’s multi-million dollar Move It Aus - Better Ageing Grants. Twenty-seven organisations across the country will share in the investment of $22.9 million over the next two years, which Minister for Sport Bridget McKenzie says is an important step in helping older Australians get the most out of their senior years. “As outlined in the Government’s National Sport Plan – Sport 2030 – no matter what your age and no matter what your stage, we’re encouraging all Australians to embrace the philosophy of ‘Movement for Life’,” Minister McKenzie says. With latest figures showing only one in four Australians over 65 meet the Department of Health’s physical activity guidelines of 30 minutes per day, Minister McKenzie says the strong demand for Better Ageing grants shows that organisations are ready and willing to help older Australians adopt a healthier lifestyle. “It is fantastic that I have been able to let these successful providers know we’re ready to help them deliver a diverse range of programs to support older Australians,” she says. Football Federation Australia’s Walking Football program is the first to receiving funding, benefitting from $1.8 million to develop a social, small-sided and sustainable version of soccer specifically modified for older Australians. The funding, announced at Perth’s Inglewood United Soccer Club earlier this week, will help develop and promote walking football, which was made popular in the UK and has been piloted by Football West in WA for the past two years. Aged Care Minister Ken Wyatt says sport’s social connections strengthens both body and mind, and helps guard against loneliness in later years. “These exciting and engaging activities (supported by the grant) are about giving us more choices for a longer life, as increasing numbers of Australians live to 100 and beyond,” he says. According to the 2015 Intergenerational Report – Australia in 2055 report, the number of Australians aged over 65 is expected to double in the next 40 years. 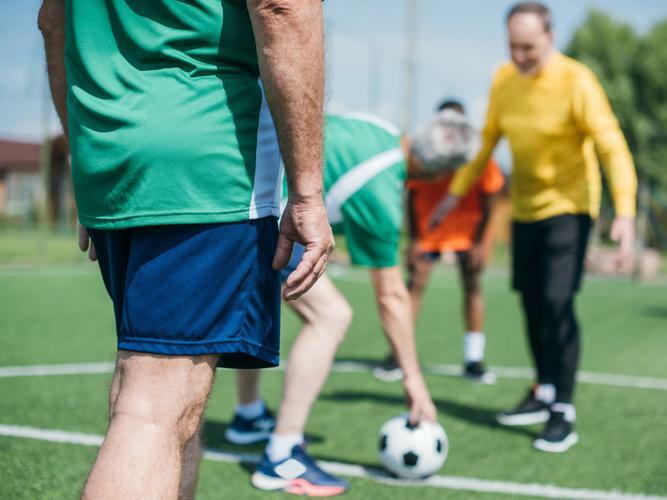 “This shift presents a challenge in broader health terms but provides a chance for sport and physical activity to make a positive difference to the lives of older Australians,” Minister McKenzie says.